Free until March 16th 2015. Absolutely powerful. An everyday miracle. For all my clients and Doulas. Enjoy! Happy Chanukah. IN THIS CAPTIVATING chronicle of a doula, Sarah Goldstein reminisces about being on call to serve women before, during and after labor. There are no breaks or time off in this profession, especially while having attended over 1500 births! It is a memoir that both the novice and the informed will be unable to put down. Often torn between her life’s calling, and her family, Sarah is further challenged by being in a ‘sandwich generation’. She is raising six children while caring for her degenerating Alzheimer’s mother. Yet with family support at the most trying of times, she experiences both the trials and triumphs of facilitating mothers in bringing their newborns into the world. 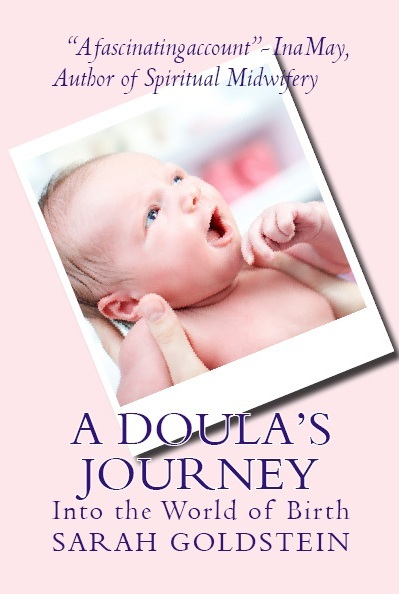 Whether this is your first birth or whether you have B”H given birth many times before, the emotional, physical and informational support that you will receive from having a doula with you during labor is immeasurable. Doulas are available to you throughout your pregnancy – providing information and emotional support. Come and explore the site to find out more about how you can make your birth experience pleasantly memorable.